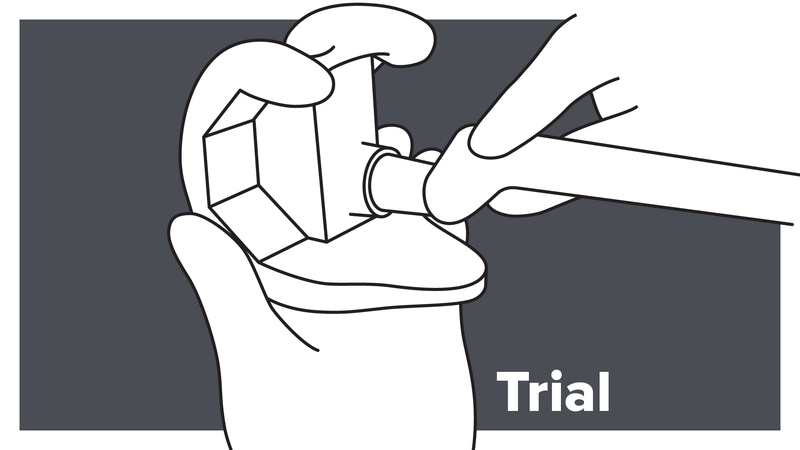 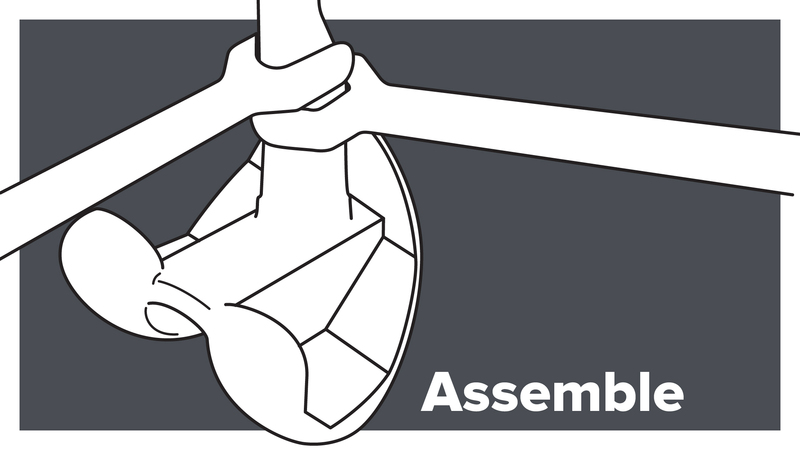 A revision (replacement after a primary) knee implant is a modular construction, consisting of multiple options and parts that the surgeon must trial and assemble to match the geometry of the patient’s knee. 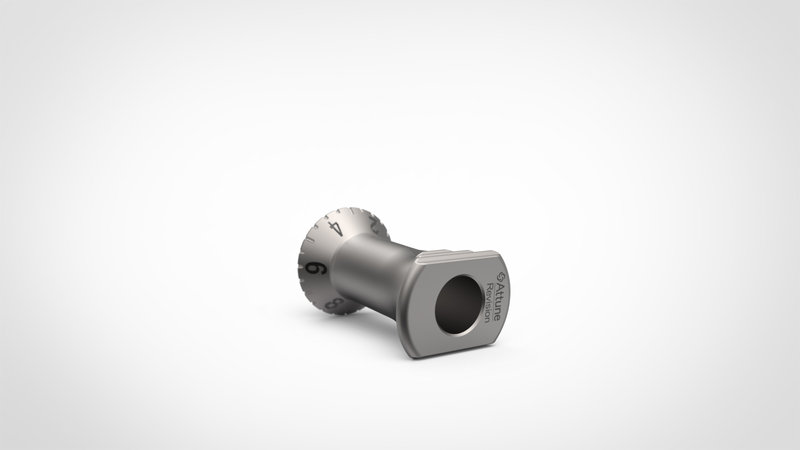 One of the options on the femoral side of the implant is an offset stem, allowing the implant to be positioned off centre to align the knee. 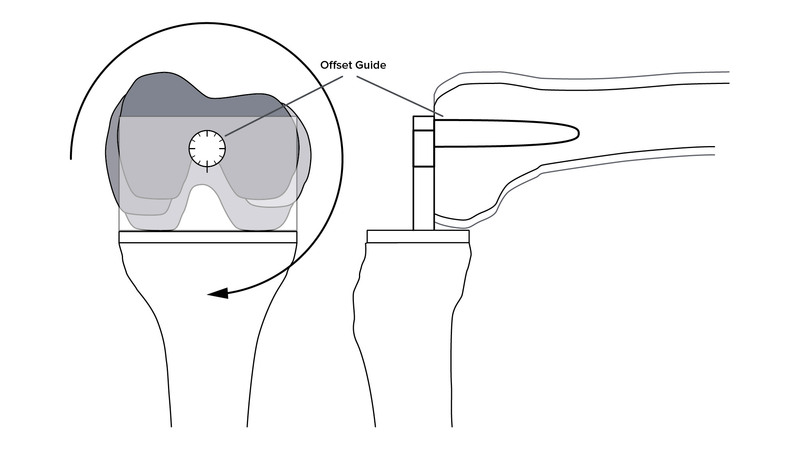 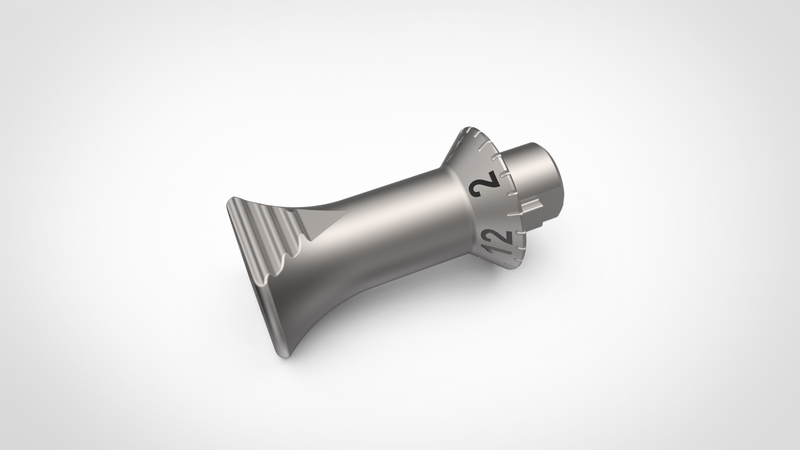 The procedure of preparing an offset implant requires the surgeon to measure the location they want the offset to be in, using the femoral offset dial, and then transfer this number through the trialling and final implant assembly stages. 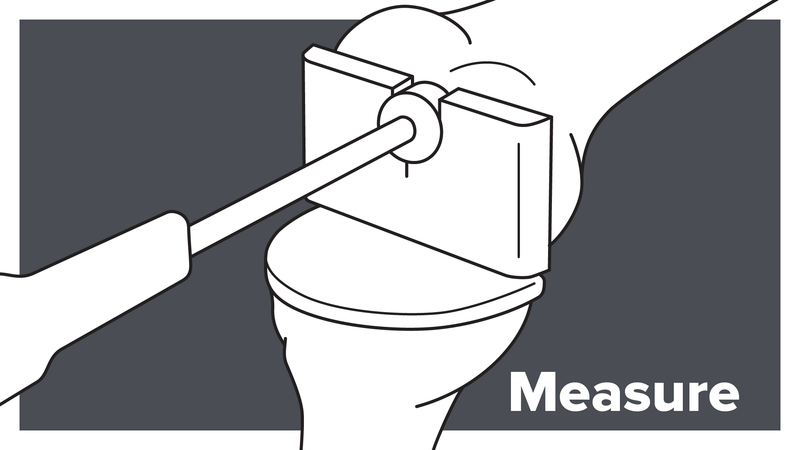 Initial development focused on a range of concepts that interacted with the femoral offset guide, allowing it to be rotated and locked for the measurement to be taken. 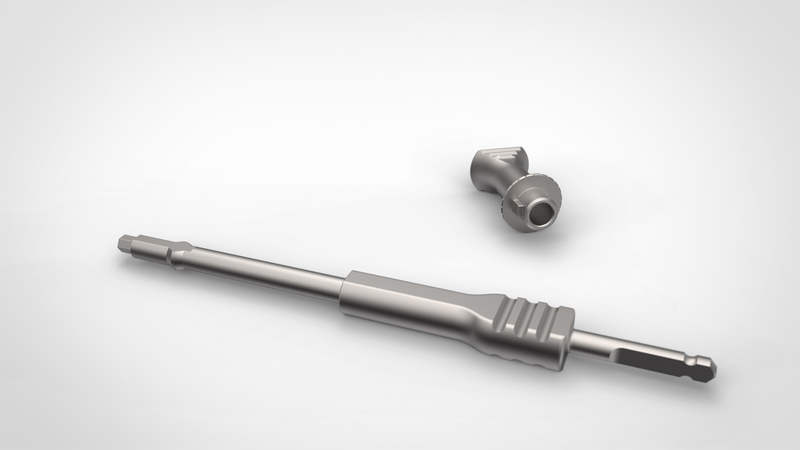 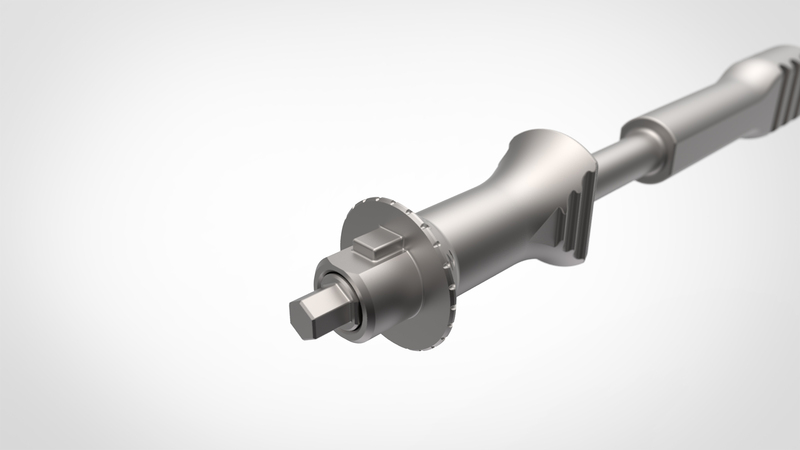 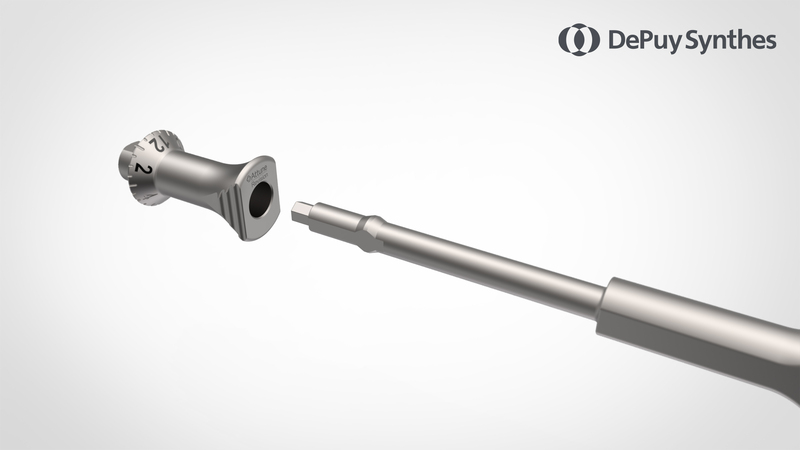 A further requirement was for the tool to be solidly attached to the guide face so it could be extracted from the femur without attaching a further tool. 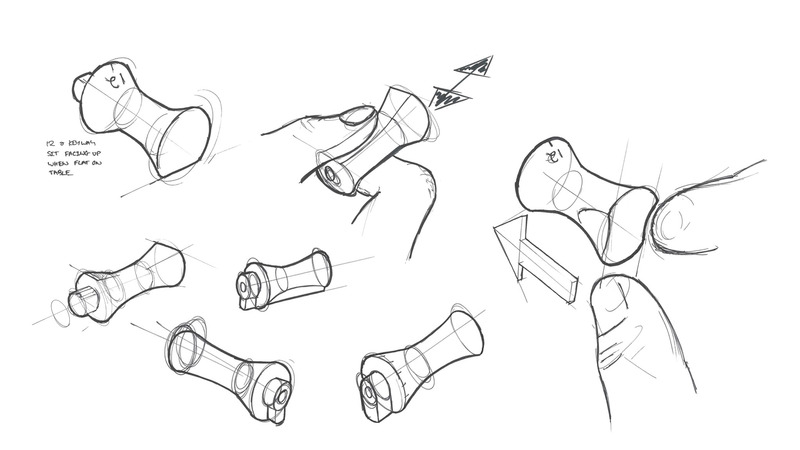 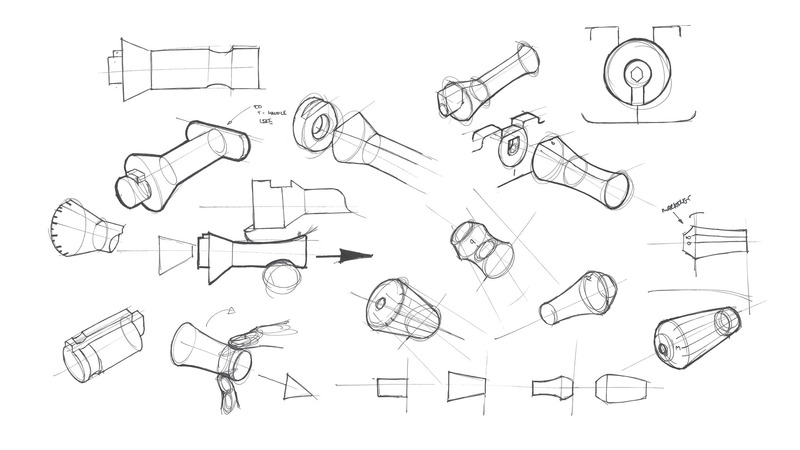 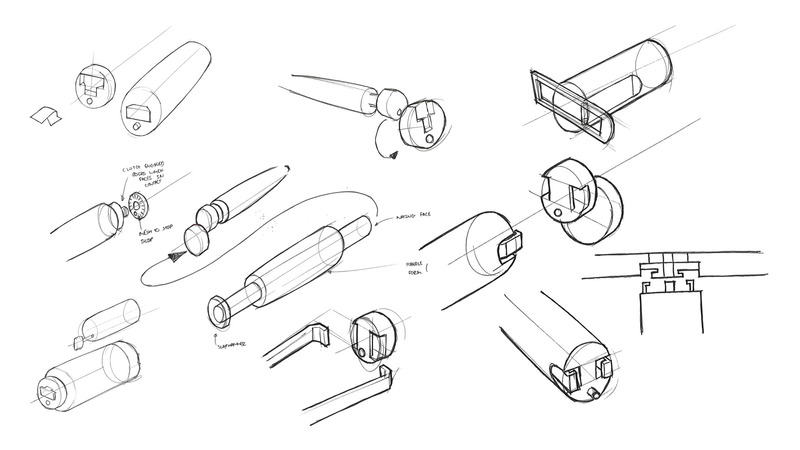 Concepts were developed into a range of prototypes which were refined though testing, with the selected designs taken to a surgeon meeting for feedback. 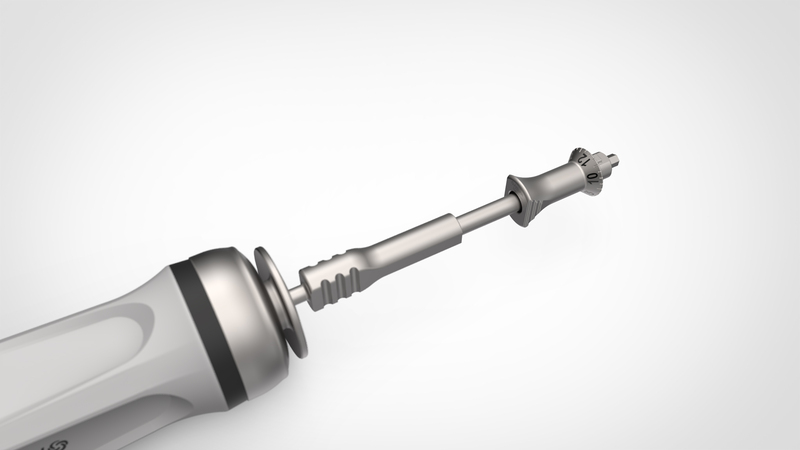 Following surgeon feedback, it was decided that the best route to further develop would be a non-attaching device that worked with the existing system driver, allowing the surgeon to find the correct offset, but not lock it in place. 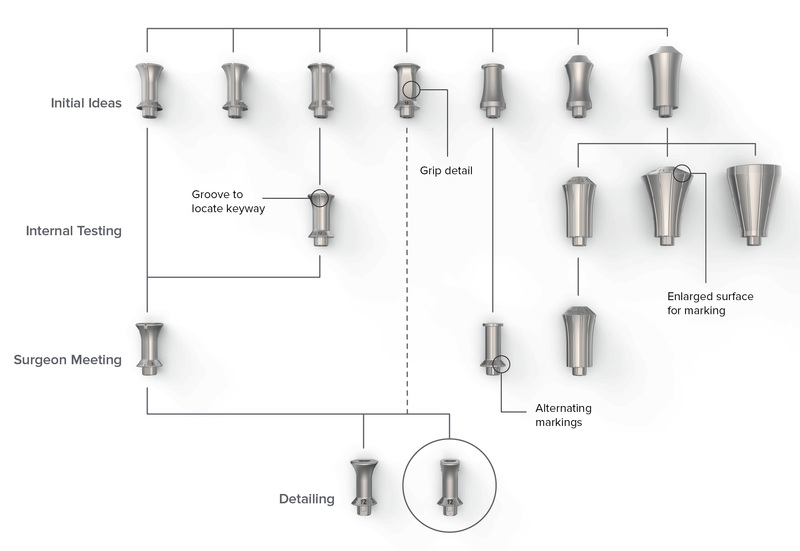 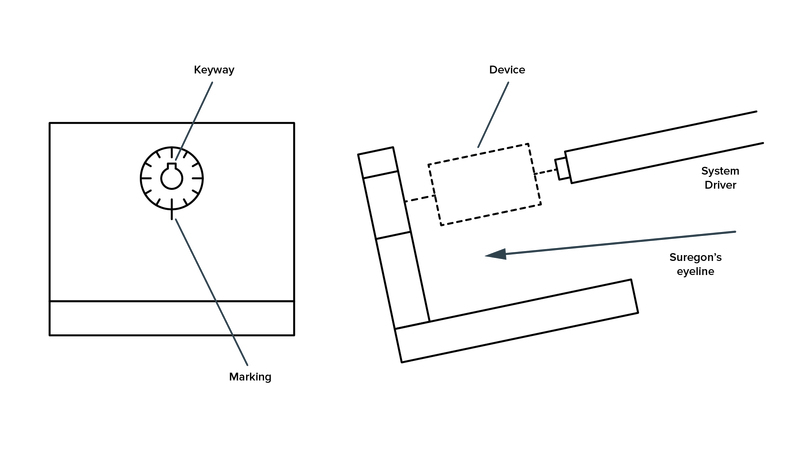 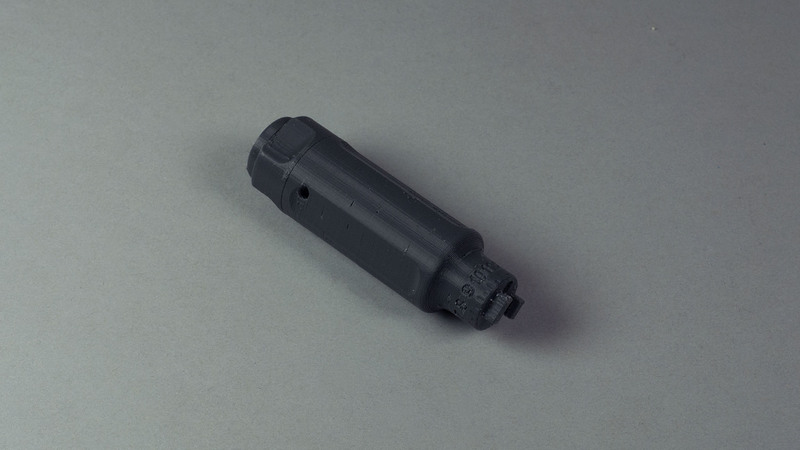 The focus at this point was largely on interaction detailing - making it as easy as possible to align and connect the device, whilst also providing markings that clearly displayed the chosen offset, which had to be read from the underside of the tool. 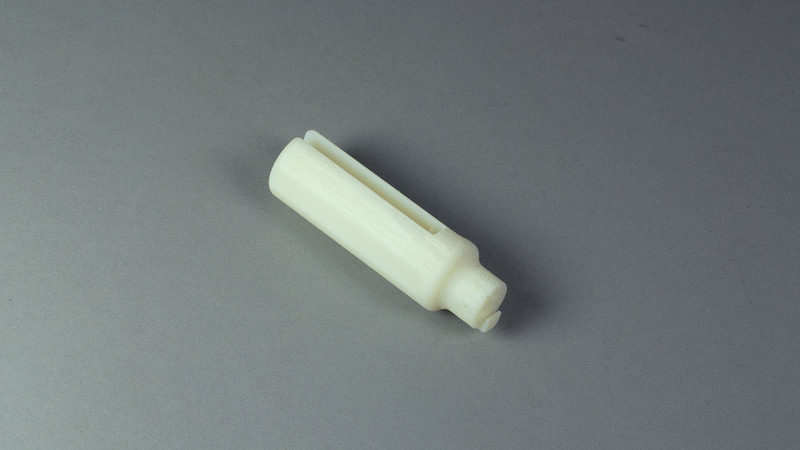 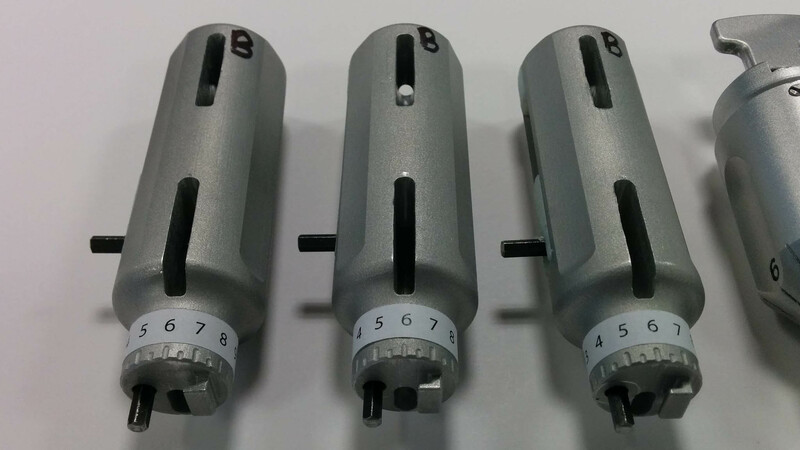 Further prototypes were developed and tested exploring a range of ideas, including extending the tool out to provide large markings, alternating numbering, as well as interaction detailing such as touch points to help alignment of the keyway on insertion. 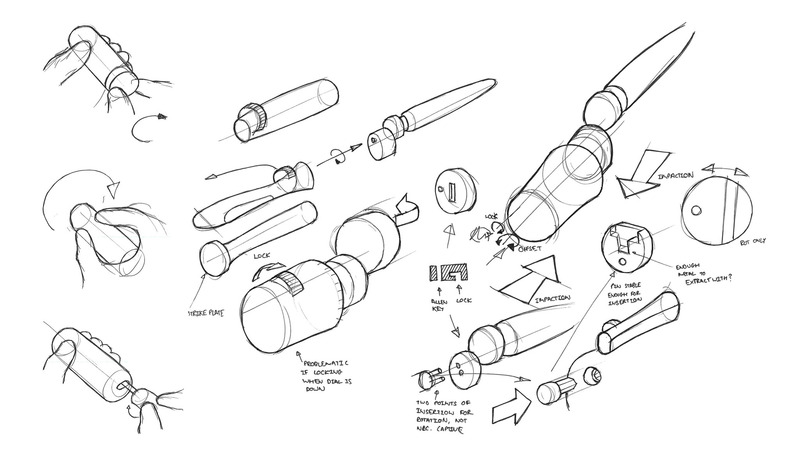 After several iterations and testing with surgeons, the final design was decided upon. 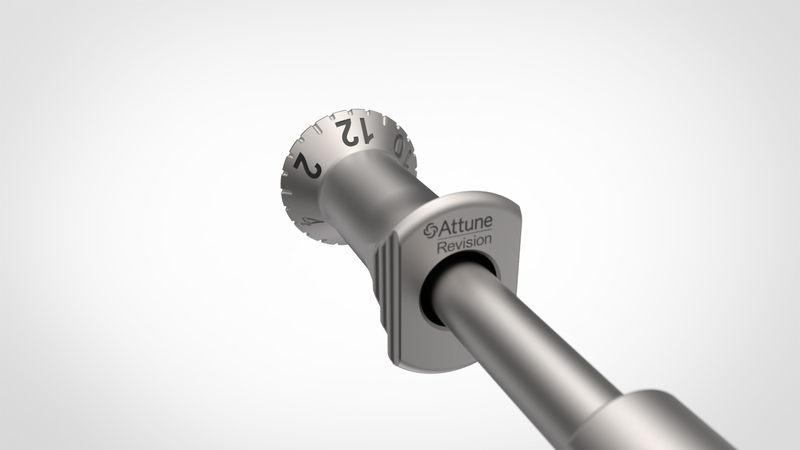 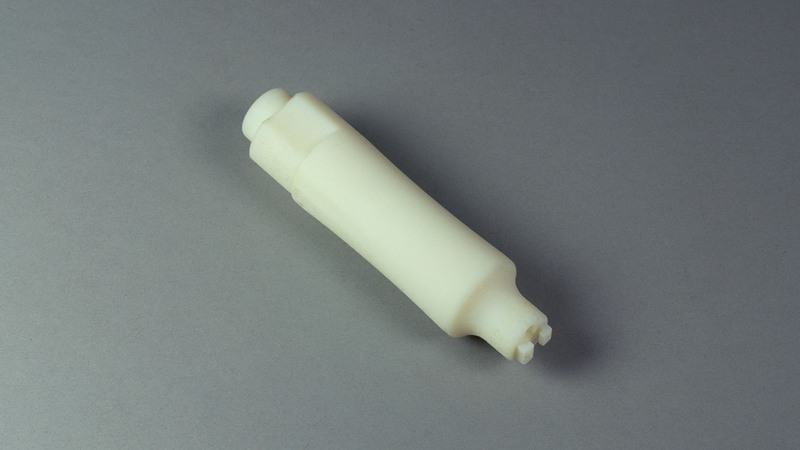 Alternating numbering was used to give the largest possible markings in the space available, along with flattened sides, providing both a grip and alignment feature for the surgeon, whilst also stopping the device rolling.